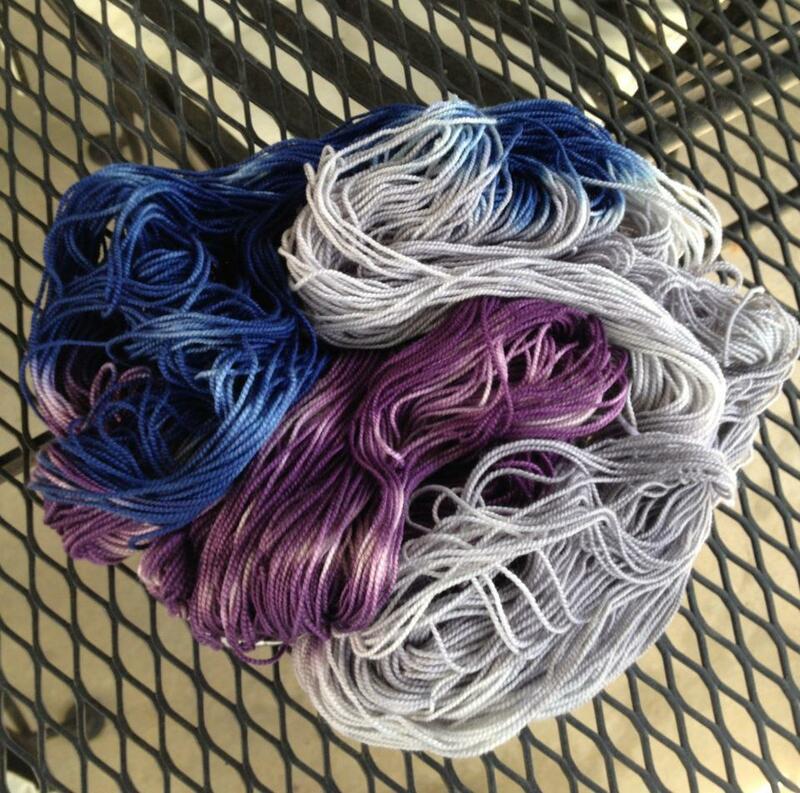 Last night I took my first yarn dyeing class at my favorite indie craft store in Denver called "Fancy Tiger Crafts". 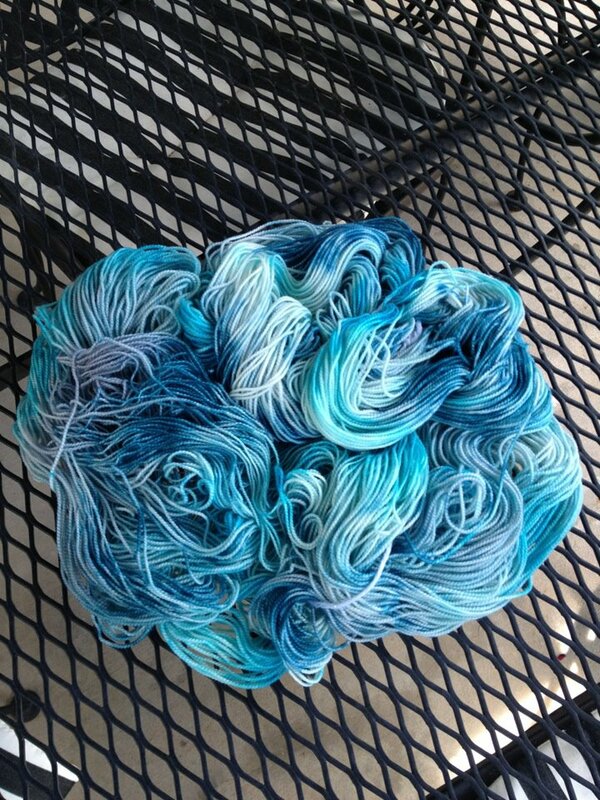 This was not my first go around with yarn dyeing but it was the first time I have worked with acid dyes. We used two techniques, kettle dyeing and hand painting. There is far less control over what is going to happen when the kettle method is used, but I really liked the results. "Freya's Cloud" shown here on the left, was made using the kettle method. We asked our teacher to show us the yarns she had for sale in the store after we had done ours since we didn't want to get overwhelmed by our novice status. Still, everyone's yarns turned out beautiful and so unique. 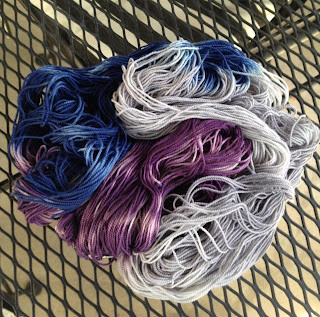 Although we used a microwave, our teacher uses a crock pot for her kettle dyeing so she can add color as it cooks, which I thought was a good idea.I have already taken a leap forward in my mind and am now wondering about some hand dyed fabric. How much fun would that be? I am still contemplating whether I would like to continue with hand dyeing anything on my own at this point, but in the meantime I look forward to hopefully being able to attend more advanced technique classes.